Executive MBA programs are not cheap, and they’re getting pricier than ever. A new analysis by Poets&Quants finds that three of these part-time MBA programs for more senior managers and executives now tops $200,000 at three prominent business schools. The MBA program with the highest price tab on the planet is now at the University of Pennsylvania’s Wharton School. The latest EMBA cohort that arrived in May will pay $205,200 for the two-year program with classes that meet on alternating Fridays and Saturdays. The Executive MBA programs at Columbia Business School and Northwestern University’s Kellogg School of Management are also now above the $200,000 mark. At Columbia, the total cost is now $202,080, while the price tag at Kellogg is $201,120. The soaring costs of these degrees doesn’t seem to deter many of the executive students who increasingly are footing the bill as their companies continue to cutback on sponsorship. The latest incoming classes at both Wharton and Kellogg, respectively 224 and 262, make those EMBA offerings among the largest in the world. Wharton is now racking up gross revenues of more than $45 million a year on its two Executive MBA programs on its home campus in Philadelphia and its West Coast campus in San Francisco. Kellogg’s programs in Chicago and Miami are now bringing in more than $52 million annually. Yale University’s Executive MBA, recently ranked best in the world by The Economist, even appears to be something of a bargain at a cost of $179,800. At least another 12 programs, from the University of Chicago’s Booth School of Business to UCLA’s Anderson School of Management, have price tags above $150,000 for part-time programs that last between 17 and 24 months . Why are these programs so expensive? At Wharton, the costs include room and board for all required class days at either the Steinberg Conference Center or Inn at Penn in Philadelphia, or the Le Meriden Hotel in San Francisco. It also includes gourmet meals, student fees, most course materials and a “land package” for a global business week. Worried about paying out all more than $200,000 in one big lump? Wharton expects students to make six equal installments at the beginning of each term over the two years. The school accepts plastic: American Express, Discover, or MasterCard credit cards for payment. It could strike some as offensive that Wharton lists as one of the items covered in the cost a “case study room for you and your study team.” Airfare to get to the program or to the global week is not included. Neither are the registration charge and travel costs for the elective global modular courses that are offered during holiday breaks are not included. Another reason for the sticker shock is the fact that Executive MBA programs often are taught by a school’s star professors and boast dedicated career coaches and career development staffers. The high costs also reflect brand power. Schools with big brands are able to get better pricing than others. More often than not, the cost of an EMBA goes up with a school’s reputation and ranking. There are plenty of Executive MBA programs that cost less than half of what Wharton, Columbia or Kellogg charge, but they are typically at schools that lack the drawing power of those world-class business schools. One of the least expensive, quality options costs only $46,310 at Brigham Young University’s Marriott School of Business. BYU’s 24-month EMBA program was recently ranked an impressive 25th in the world by The Economist and the total cost covers tuition, books and fees, Saturday lunches, and a foreign business excursion. The program fee even covers transportation, hotel accommodations and breakfast during the global excursion–but not hotel stays for the alternating Friday and Saturday class sessions or the residential weeks. The major reason the Marriott program is so affordable is that a good chunk of its operating costs are paid with the tithes of members of the Church of Jesus Christ of Latter-day Saints, though any one can attend the program and it is not religious in nature. As high as the costs are for these programs, it’s not unusual for there to be some “hidden” costs. At MIT’s Sloan School of Management, for example, the price tag of $169,000 does not include what the school estimates to be about $20,000 in hotel charges. At Duke University’s Fuqua School of Business, students have to tack on to the $148,000 for its global EMBA program an additional $4,000 for a concentration or an extra $6,000 if they want a health sector management certificate. Are these expensive business degrees worth it? Graduates of EMBA program appear highly satisfied with their experience. The highest net promoter score—a metric used to measure customer satisfactoin and loyalty—of any graduate business program is from Executive MBA alumni. EMBA programs boast a net promoter score of 59, higher than full-time MBA programs at 52 or weeknight programs at 48, according to a 2018 study by the Graduate Management Admission Council of 1,102 EMBA alums. 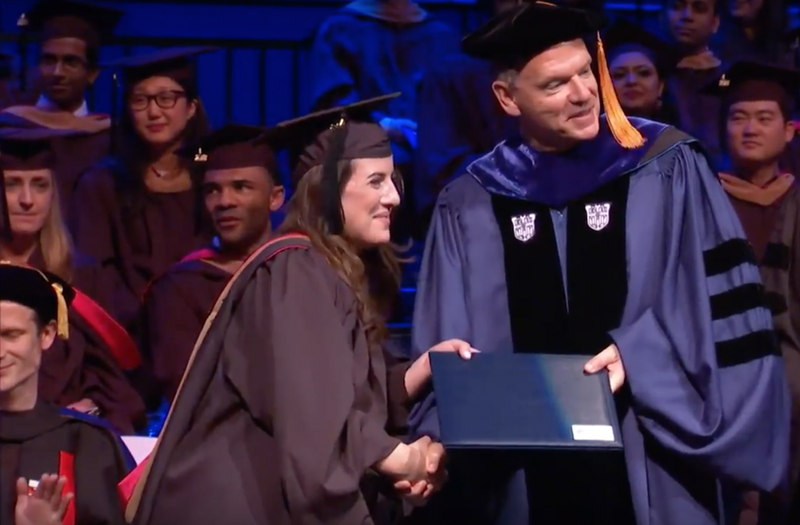 The study found that 96% of EMBA grads believed their program was personally rewarding, while 89% said the experience was professionally rewarding. When it came to ROI, however, just 68% said the program they attended was financially rewarding. That compared to 79% of full-time MBA grads.